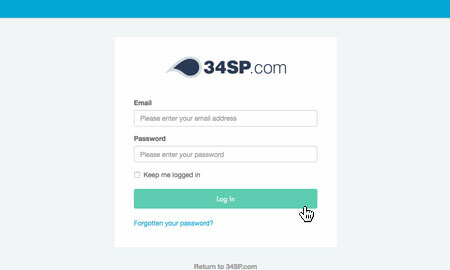 This is a quick step-by-step walkthrough for locking and unlocking FTP access via the 34SP.com Control Panel. 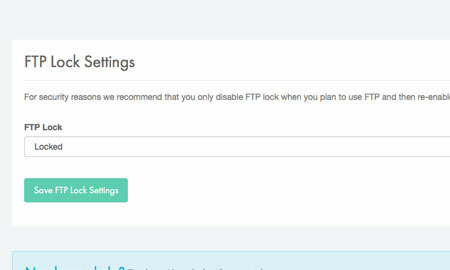 FTP Lock is a feature built to protect your account from FTP hack attempts. By default FTP is set to 'locked' and blocks FTP, SCP and SFTP until the status is changed. 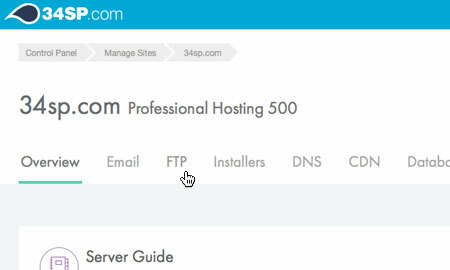 When viewing the 'FTP' page, locate the box titled 'FTP Lock' and click on the link 'FTP Lock Settings'. This will bring up a form with a single drop down labelled 'FTP Lock'. 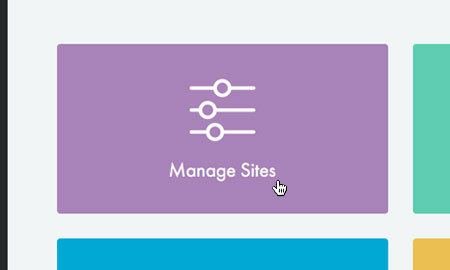 Choose your preferred FTP Lock status from the 3 options provided, then click on the button labelled 'Save Settings' to save your changes. 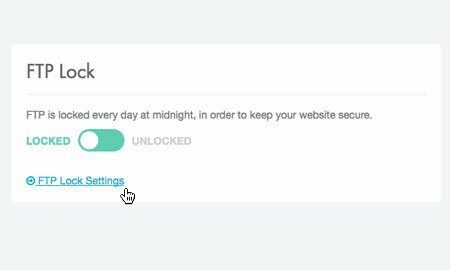 Please note: If FTP Lock is set to 'Unlocked Today', it will automatically lock at midnight GMT.